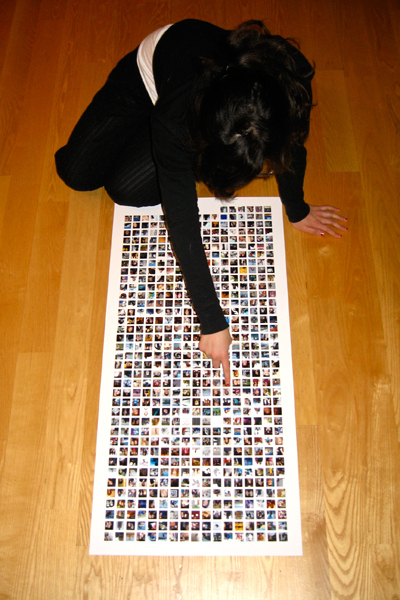 Whether you have 50 or 5000 Facebook friends ─and yes, you can leave out those not-so-good friends if you wish─ The Friend Poster will look stunning with all their square profile pictures printed on high-quality professional grade paper that will not rip or fold easily. But before you print your Facebook, you’re given several customizable design options such as the spacing or margins between the profile pictures and the background color. According to the website, you’re also able to print members of fan and group pages though we haven’t found the option yet. Printing Facebook is the first commercial project by San Diego-based artist/developer Benjamin Lotan, who promises to “personally examine every poster before it gets printed to ensure that the final product looks fantastic“. The high-resolution poster print can be yours for $20, excluding the $6 flat rate for shipping and handling within the U.S. The price of international shipping is calculated during the payment process, and generally it will cost $20. » Print your Facebook at http://printingfacebook.com. Posted by Pieter on October 18, 2010 at 5:39 PM. Use this trackback if you're linking this story.